Revitalising Central Dandenong (RCD) ,is continuing with a new development given the green light. Places Victoria, which oversees the project, has selected a preferred bidder for the next development site. It is opposite the new Australian Taxation Office that is under construction, which will be joined soon by a new Quest serviced apartment block next door. Sydney Morning Herald about $360 million has been spent so far on the project - $240 million by the state government and about $125 million by the City of Greater Dandenong – but now the government money has run out. 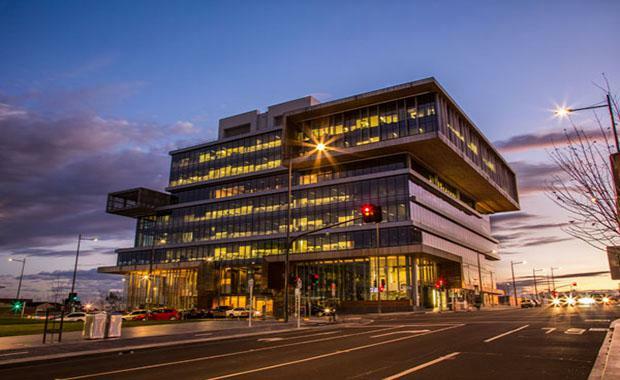 The group manager of business at the City of Greater Dandenong, Paul Kearsley, said with the basic infrastructure in place, the project was in a stage of consolidation and attracting private investment. "Now we are starting to see the results," he said. The seven hectare revitalisation project was announced by the Victorian Government in 2006 and is creating a fresh new future for central Dandenong. Several key projects are now complete or underway and the initiative is enhancing Dandenong’s appeal as a place to live, work and visit through new residential, commercial and community projects. The idea was to rejuvenate an area suffering from stagnation and return Dandenong to its place as the "capital" of south-east Melbourne. The Sydney Morning Herald notes the central precinct has been divided into 19 sites, with six now developed, under development or committed for development. The sites range in size from 1000 square metres to 4000 square metres. The general manager of precincts at Places Victoria, Simon Wilson, said including private money, more than $500 million had been invested to date. "The RCD initiative is expected to attract $1.2 billion in private investment over the life of the project," he said. The $20 million, 95-key Quest building will be developed by Pellicano Group. Quest's chief executive, Zed Sanjana, said Dandenong had plenty to offer his corporate traveller-focused business. "We wanted a greater presence in Dandenong. It has a strong industrial hub and Greater Dandenong is a satellite city," he said. "There is much there – manufacturing, healthcare and big projects like the hospital redevelopment and the new ATO. "Mr Kearsley said the council was negotiating with Places Victoria to take over two sites – the old Masonic Hall and a grassy knoll at the civic centre. He emphasised that the developments were already bringing people into the CBD. The civic centre was home to 350 workers, and visitors to its new library had jumped from 7000 to 22,000 since the office opened in April.